The Sidi Alba road shoe fuxia/wit dames is an extremely comfortable entry-level model that follows the popular Sidi Level shoe. The Alba shoes features a strong Millenium 4 carbon sole which makes it stable and keeps the weight of the shoe low. The Politex material can endure a lot, which prolongs its life. Your shoe is firmly wrapped around the foot every moment of the ride thanks to the Tecno 3 locking system, in combination with Velcro fasteners. Please note: Sidi shoes are quite small. We strongly recommend to take one size larger than usual. 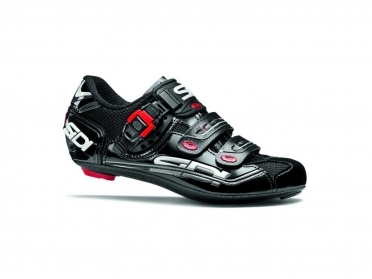 The Sidi Alba road shoe black women is an extremely comfortable entry-level model that follows the popular Sidi Level shoe. The Alba shoes features a strong Millenium 4 carbon sole which makes it stable and keeps the weight of the shoe low. The Politex material can endure a lot, which prolongs its life. Your shoe is firmly wrapped around the foot every moment of the ride thanks to the Tecno 3 locking system, in combination with Velcro fasteners. Please note: Sidi shoes are quite small. We strongly recommend to take one size larger than usual. 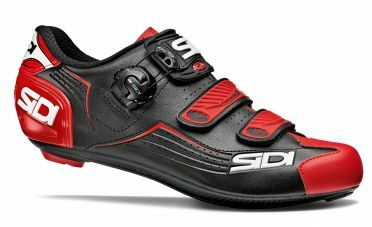 The Sidi Alba road shoe black/red men is an extremely comfortable entry-level model that follows the popular Sidi Level shoe. The Alba shoes features a strong Millenium 4 carbon sole which makes it stable and keeps the weight of the shoe low. The Politex material can endure a lot, which prolongs its life. Your shoe is firmly wrapped around the foot every moment of the ride thanks to the Tecno 3 locking system, in combination with Velcro fasteners. Please note: Sidi shoes are quite small. We strongly recommend to take one size larger than usual. 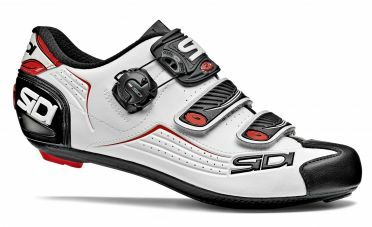 The Sidi Alba road shoe white/black/red men is an extremely comfortable entry-level model that follows the popular Sidi Level shoe. The Alba shoes features a strong Millenium 4 carbon sole which makes it stable and keeps the weight of the shoe low. The Politex material can endure a lot, which prolongs its life. Your shoe is firmly wrapped around the foot every moment of the ride thanks to the Tecno 3 locking system, in combination with Velcro fasteners. 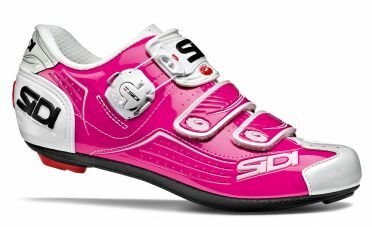 Please note: Sidi shoes are quite small. We strongly recommend to take one size larger than usual. 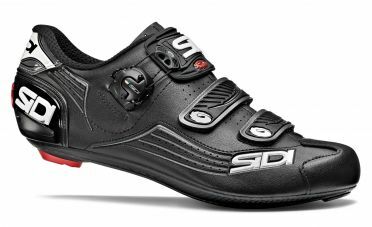 The Sidi Alba road shoe black men is an extremely comfortable entry-level model that follows the popular Sidi Level shoe. The Alba shoes features a strong Millenium 4 carbon sole which makes it stable and keeps the weight of the shoe low. The Politex material can endure a lot, which prolongs its life. Your shoe is firmly wrapped around the foot every moment of the ride thanks to the Tecno 3 locking system, in combination with Velcro fasteners. Please note: Sidi shoes are quite small. We strongly recommend to take one size larger than usual. 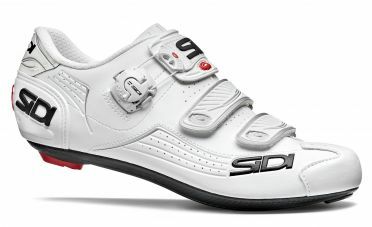 The Sidi Alba road shoe white men is an extremely comfortable entry-level model that follows the popular Sidi Level shoe. The Alba shoes features a strong Millenium 4 carbon sole which makes it stable and keeps the weight of the shoe low. The Politex material can endure a lot, which prolongs its life. Your shoe is firmly wrapped around the foot every moment of the ride thanks to the Tecno 3 locking system, in combination with Velcro fasteners. 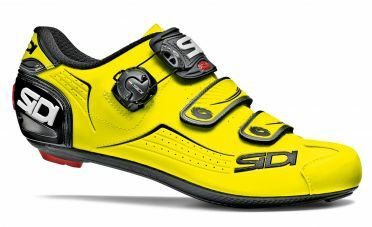 Please note: Sidi shoes are quite small. We strongly recommend to take one size larger than usual. 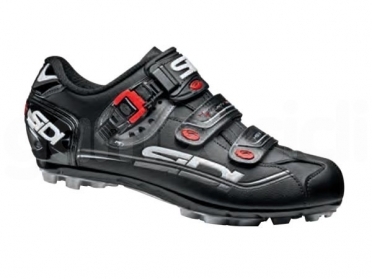 Sidi’s best-selling Sidi Dominator 7 Fit MTB shoe MEGA black is the perennial favorite for cross-country mountain bikers, racers and adventurers. The Dominator 7 Fit is the do-everything shoe for everywhere you ride off-road, with European handcrafted quality that keeps on performing season after season. It’s serious performance, with perfect fit and serious comfort — when you’re ready to get serious about your ride. This shoe is 4mm wider across the ball of the foot and provides more volume, a high instep and a wider heel cup in comparison with the "normal" model. 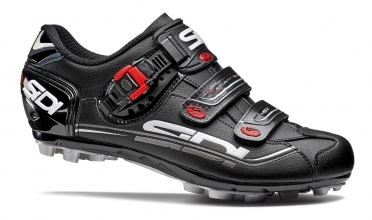 SIDI's classic GENIUS has been revised – with the Sidi Genius 7 road shoe black men. 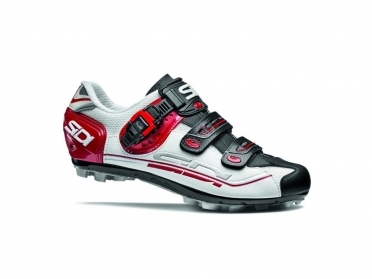 SIDI has developed a perfect all-rounder with great power transfer thanks to the proven COMPETITION SOLE. Technical features, a high quality workmanship and a perfect fit top off the overall package. Genius 7 is everything you expect in a pro-level road shoe: Millennium 5 Carbon Composite Sole, Caliper Buckle two-way ratchet closure and many more. Please note: Sidi shoes are quite small. We strongly recommend to take one size larger than usual. The Sidi Dominator 7 Fit mountainbike shoe black is Sidi’s best-selling MTB shoe, it is the perennial favorite for cross-country mountain bikers, racers and adventurers. The Dominator 7 Fit is the do-everything shoe for everywhere you ride off-road, with European handcrafted quality that keeps on performing season after season. It’s serious performance, with perfect fit and serious comfort — when you’re ready to get serious about your ride. 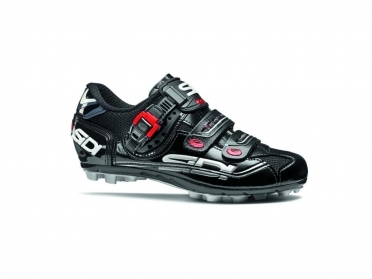 The Sidi Eagle 7 Fit mountainbike shoe women black is a perfect all-around shoe with excellent power transfer thanks to proven Competition sole. 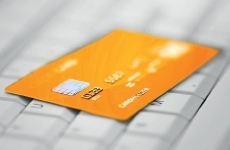 It provides excellent fit and stability through numerous technical details and high qualitiy. The upper shoe is made of high quality microfiber material and mesh inserts and due to its special treatment it is breathable and dirt resistant. 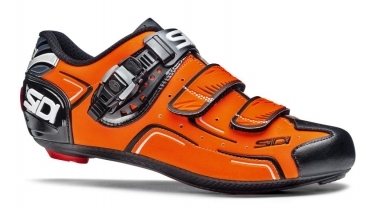 The Sidi Level road shoe orange men is made for beginners. It has the Millennium 4 Carbon Composite outsole which provides rigidity and durability. With a mix of two velcro fasterners and the so called "Caliper Buckle" the Level focuses on an already proven and sturdy closure. Please note: Sidi shoes are quite small. We strongly recommend to take one size larger than usual. 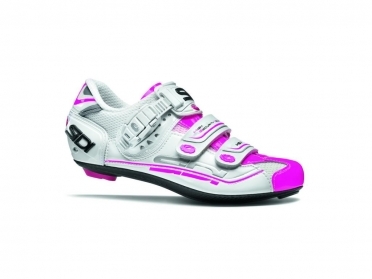 SIDI's classic GENIUS has been revised – with the Sidi Genius 7 road shoe white/pink women. SIDI has developed a perfect all-rounder with great power transfer thanks to the proven COMPETITION SOLE. 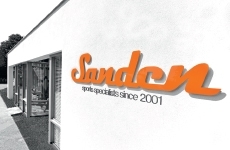 Technical features, a high quality workmanship and a perfect fit top off the overall package. Genius 7 is everything you expect in a pro-level road shoe: Millennium 5 Carbon Composite Sole, Caliper Buckle two-way ratchet closure and many more. Please note: Sidi shoes are quite small. We strongly recommend to take one size larger than usual. SIDI's classic GENIUS has been revised – with the Sidi Genius 7 road shoe black women. SIDI has developed a perfect all-rounder with great power transfer thanks to the proven COMPETITION SOLE. Technical features, a high quality workmanship and a perfect fit top off the overall package. Genius 7 is everything you expect in a pro-level road shoe: Millennium 5 Carbon Composite Sole, Caliper Buckle two-way ratchet closure and many more. Please note: Sidi shoes are quite small. We strongly recommend to take one size larger than usual. SIDI's classic GENIUS has been revised – with the Sidi Genius 7 road shoe white women. SIDI has developed a perfect all-rounder with great power transfer thanks to the proven COMPETITION SOLE. Technical features, a high quality workmanship and a perfect fit top off the overall package. Genius 7 is everything you expect in a pro-level road shoe: Millennium 5 Carbon Composite Sole, Caliper Buckle two-way ratchet closure and many more. Please note: Sidi shoes are quite small. We strongly recommend to take one size larger than usual.